The overnight snowfall closed some schools in Nova Scotia on Tuesday and resulted in a shortened school day for students in the Halifax area. The Halifax Regional Centre for Education delayed school opening for two hours to allow crews more time clear roads and sidewalks. But some say delayed openings result in unproductive school days. Veteran crossing guard Carole Bedell isn't a fan of the late starts. It was the same story all over the municipality, with students drifting in for class two hours later than usual. Officials acknowledge attendance is generally lower on such days, but they don't track numbers. 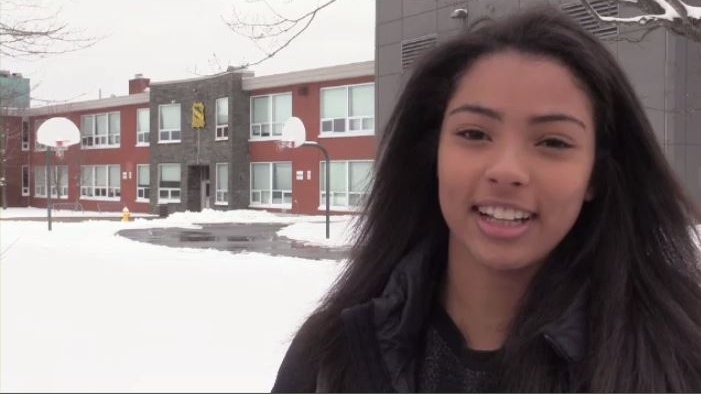 Parts of New Brunswick saw even more snow than Halifax, but it was business as usual for students there. At Dartmouth High, the Grade 10 students arrived just in time to kill an hour before lunch -- somewhat baffling for students. “At our school, lunch starts at 11 a.m., so we show up for like half of our second period class and then we go out for lunch,” said Zoe Harrington. Defending the move, the Halifax Regional Centre for Education says decisions on storm days are always made around 5:30 a.m. and always with students’ best interests in mind. Bedell takes a different view.